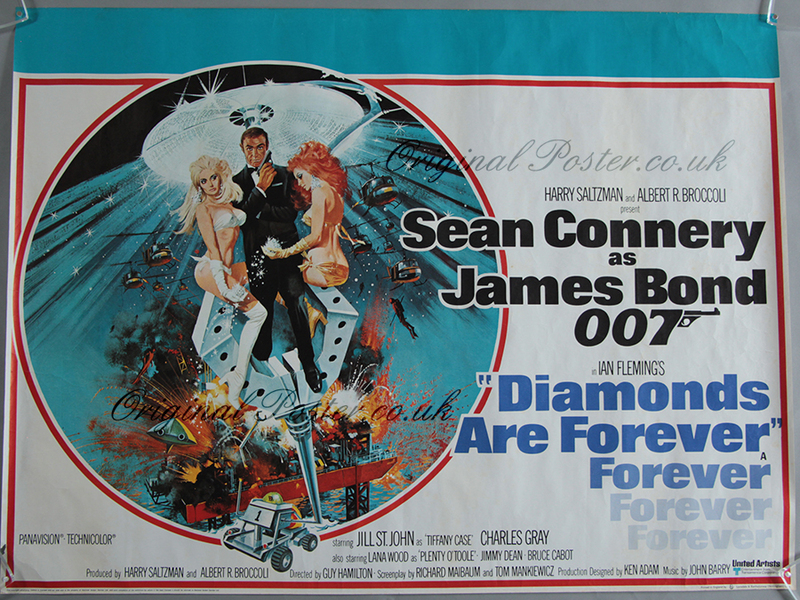 Details Deep colours in this all-action James Bond film poster with a glittering array of diamonds embellishing the features of the Bond Girls - Jill St John as Tiffany Case & Lana Wood as Plenty O'Toole. Sean Connery appears centrally in classic James Bond pose. This rolled condition cinema poster was printed in England by Lonsdale & Bartholomew with sharp colours and clean whites with a little paper creasing showing evidence of its history since 1971. There is the tiniest of nicks in the border which is not visible when on a white background. This is the best condition paper poster that we have ever had on this title.